The 1N270 Diode is another diode used in Crystal Radio sets ( Xtal Radio Sets ). It is made of a material called germanium a material used for transistors and diodes as one of the first semiconductors materials used commercially. 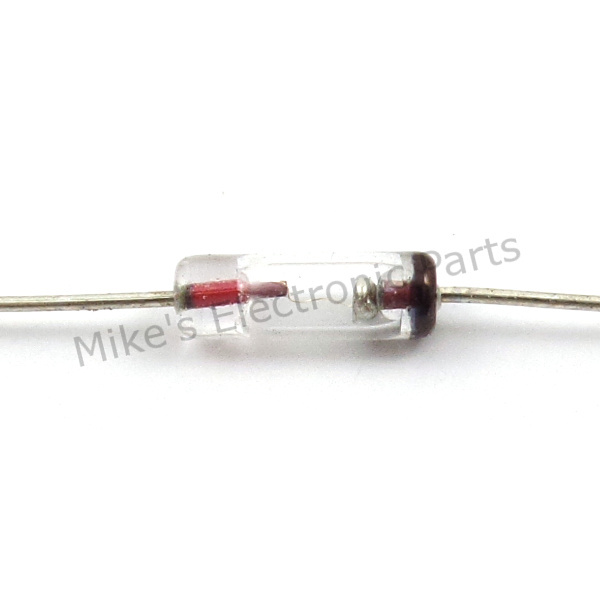 These diodes are becoming hard to find I try to keep in stock around 1000 at all times. 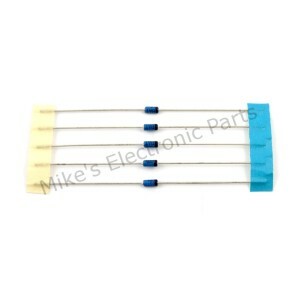 Some places are selling silicon diodes as a substitute or equivalent replacement with the 1N270 number as germanium. Some of there data sheets even say germanium in the header but state silicon in the data area. Mine are germanium point contact diodes and not Schottky Silicon Diode. The 1N270 Diode and a ceramic earphone and a tuning coil are all that is needed to make a simple crystal radio set ( Xtal Radio Set ). The 1N270 Germanium diode can carry 100 volts 40 ma and the 1N34A can handle 65 volts and 50 ma and the 1N60 can handle 45 volts 50 ma if my data is correct. The 1N270 Germanium Diode is used in many Ham Radio and Amateur Radio circuits as detectors and up converters, down converters ( Mixers ). Input shunts to protect equipment from overload. 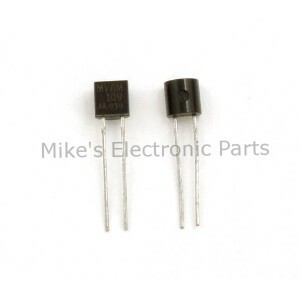 The 1N270 Diode is also very popular in sound effect circuits like Guitar pedals. what type of a crystal radio would be better off with the 1n270 rather than the 1N34A? Short answer none. But none would be worse off. 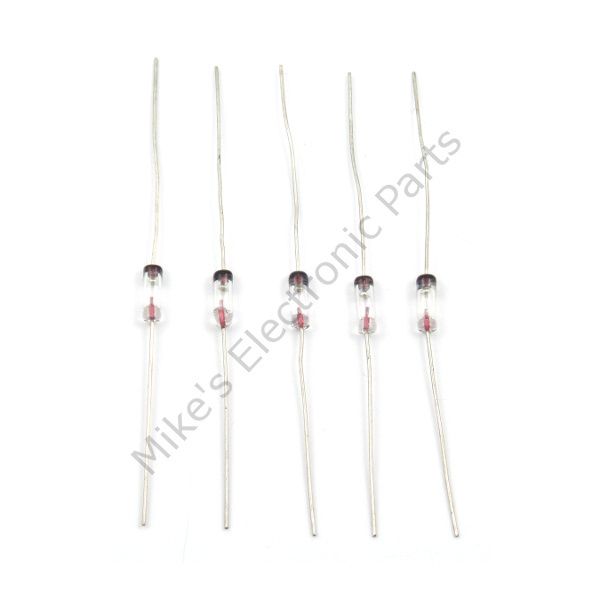 All of the common germanium diodes have about the same low voltage and current characteristics. Since the diodes were not manufactured for just crystal radio use or extreme low power as seen in a crystal radio, the main difference between them are there voltage and current ratings. The 1N34A is used a lot in crystal radios because it was the most common type available along with the 1N60. 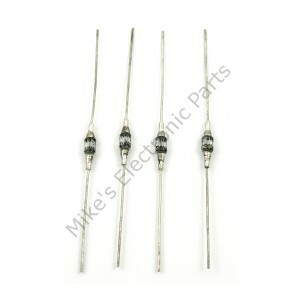 The 1N60 is rated 45 volts 50 ma the 1n34a 65 volts 50 ma the 1N270 100 volts 40 ma. With a crystal radio the diode will usually only need to handle less that 1 Volt and less than 1 ma. Be careful because the 1N34A and 1N60 were so popular these are the main ones now faked by China sold as germanium but are silicon.